There are two ways to answer this question. One, based on the business model as presented, and another based on a more biblical model of the church. First, it’s not true that every for-profit business is required to grow in order for the president/CEO to keep their job. While publicly-held companies insist on increasing their market share every quarter, most small businesses operate year after year, even generation after generation, serving people without adding stores or increasing in size. By all accounts, those small businesses do as much or more good for their communities and the overall economy as big corporations do. Just like we can’t look at megachurches as normative for the church, we can’t look at large corporations as normative for business. Second, and more importantly, the church is not a business, and pastors are not CEOs. Certainly, many pastors hold such legal titles as a matter of corporate law, but that technical reality is not even close to the center of what churches are supposed to do and how pastors are supposed to function. In scripture, the church is referred to as a family, not as a business. In scripture, the church is referred to as a family, not as a business. And the requirements for its members and its leaders are based on how family members treat each other, not how businesses function. Nowhere does the Bible imply that a pastor is not being faithful if they are not producing certain levels of numerical increase. 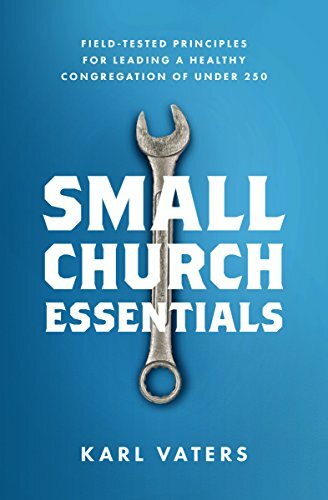 In fact it could more easily be argued that the bigger, numerically increasing New Testament churches are subject to more criticism, while the smaller, suffering churches receive greater praise and comfort for their faithfulness. But even that isn’t about size. In all the instructions, encouragement and criticism given to churches, the presence or absence of numerical growth is not given a passing thought. So we need to be very careful about attaching such value to church numbers.